By your very nature, you are brave. 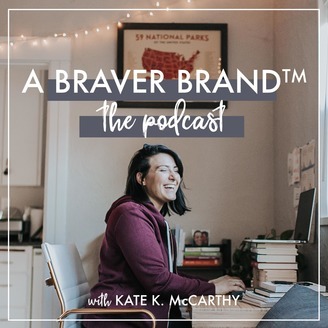 With host Kate K. McCarthy, A Braver Brand: The Podcast is a podcast dedicated to amplifying the stories, experiences, and expertise of wholehearted entrepreneurs who dare to do business differently, and inspire us all to be braver in our brands and businesses. Want to connect with Kate on social media? Find her on Instagram @katekmccarthy. This week on A Braver Brand, we’re featuring a fabulous conversation with the one and only Hanna Saar. 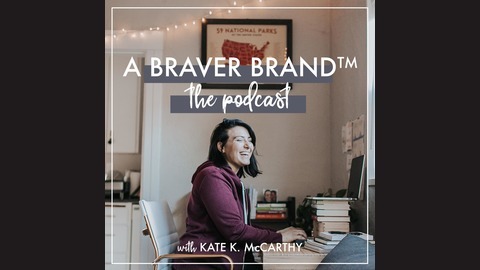 In this episode, Hanna and I talk all about business evolution (and what each phase has taught her), why the messy middle is filled with moments that feel like failure, and why shortcuts aren’t always the answer. For shownotes & other resources, visit www.katekmccarthy.com/podcast. Episode 58: Your Burning Questions: How do I find my voice? Episode 57: Your Burning Questions: Where do I start?